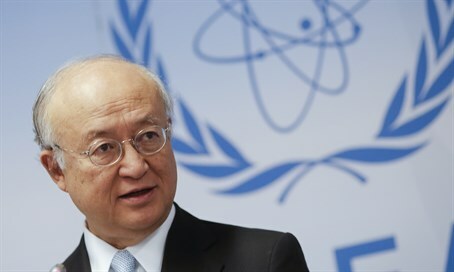 IAEA Director General Yukiya Amano says his agency has enough samples from Iran's suspicious underground military site. International Atomic Energy Agency (IAEA) Director General Yukiya Amano says that there is no need for a second visit by the agency’s inspectors to Iran's Parchin military facility. Amano last week was granted brief access to the underground Parchin facility, which the West suspects has been a key site used to test nuclear detonators, during a one-day visit to Iran, although his tour was a far cry from a full inspection of the site. The original itinerary for Amano’s one-day visit to Iran did not include a visit to Parchin. Prior to Amano's visit, local experts, without the presence of UN inspectors, collected samples from the suspicious site and then handed them over to the IAEA. "I don't think so. We have already some samples," Amano told the Russian RIA Novosti news agency Saturday, when asked about the necessity of a second visit to Parchin. He added that the recent visit was useful and now the agency "can move forward." The transfer of the materials from Parchin came in the framework of the IAEA’s work to determine possible military aspects of Iran's nuclear program by the end of the year, as part of a classified side deal between Iran and the IAEA that has been kept secret from the American Congress. That side deal stipulates that Iran will inspect Parchin itself, with no international inspectors allowed in. Despite Iran's claims that Parchin is unrelated to its nuclear program, last October it admitted to using Parchin to test exploding bridge wires, used as nuclear detonators. The IAEA said recently that satellite imagery had shown the presence of vehicles, equipment and probable construction materials at the Parchin site, which American media reported as being suspicious and possible evidence of efforts to disguise past illicit activity. Iran's UN mission called the reports "baseless", adding that construction work at the military complex, which also includes offices and residential buildings, is "quite normal".